Chancellor Philip Hammond has delivered his 2018 Autumn Budget speech detailing what he has planned for the UK’s finances. Not much changed for pensioners or savers but there was big news for first-time buyers using the shared ownership scheme. The Chancellor also revealed a pay rise for workers, with changes to the personal allowance and higher-rate tax thresholds brought forward a year earlier than planned. The Chancellor announced that he would extend first-time buyer stamp duty relief to those using the shared ownership scheme to purchase a property worth up to £500,000. Although not mentioned in the speech, a revised version of the Help to Buy equity loans scheme will run from 2021-23. The Chancellor defied expectation to delay the rise to the personal allowance and higher-rate thresholds, instead raising them a year earlier than promised. The personal allowance, which is the amount of money you can earn before paying income tax, will rise by £650 from £11,850 to £12,500 from April 2019. The higher-rate threshold, which is the amount you can earn before paying 40% income tax, will rise by £3,650, from £46,350 to £50,000 from April 2019 – a year earlier than planned. The Chancellor also confirmed the government will crackdown on the so-called ‘synthetic self-employed’. The Treasury estimates a third of people claiming self-employed status as a ‘personal service company’ are actually employees, and should therefore pay higher levels of National Insurance. It estimates this non-compliance will cost £1.2bn a year by 2023. The new rules will require employers to take responsibility for whether contractors should fall under IR35. The Chancellor said that the change to the IR35 rules will apply to contractors working for large and medium-sized private sector companies from April 2020. What was in the small print? There was a lot contained within the Budget that the Chancellor didn’t actually mention in his speech, including a new Help to Buy scheme and a commemorative Brexit 50p coin. 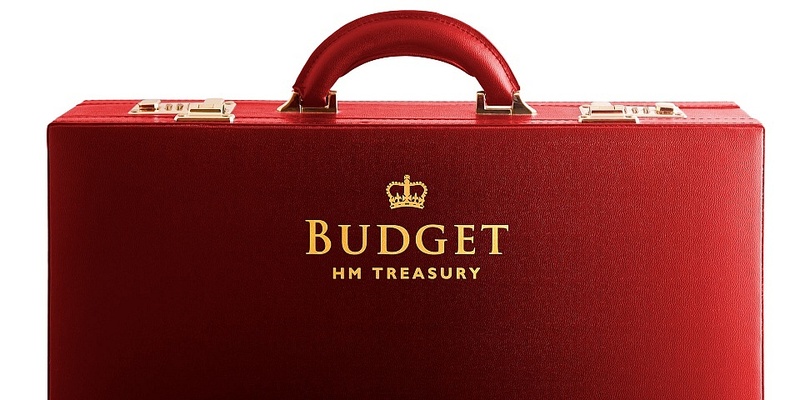 We’ve been through the Budget red book small print to find out more. Here’s our live coverage of the speech in case you missed it. As the Chancellor sits down the Treasury confirms a commemorative Brexit 50p coin will be released to mark the UK’s departure from the EU. The coin will be made available from 29 March 2019 – the day the UK is scheduled to leave the EU – and will contain the words: ‘Friendship With All Nations’. The Chancellor says ‘discipline will remain’. The higher-rate threshold, which is the amount you can earn before paying 40% income tax, will rise from £46,350 to £50,000 from April 2019 – a year earlier than planned. This means in 2019-20 there will be almost one million fewer higher-rate taxpayers than in 2015-16. The personal allowance, which is the amount you can earn before you start paying income tax, will rise from £11,850 to £12,500 from April 2019 – a year earlier than the government pledged. The change will be worth £132 to the average basic-rate taxpayer. The national living wage (NLW) for those aged 25 and over will increase 4.9% from £7.83 per hour to £8.21 per hour from April 2019. This will mean a pay rise of £690 a year and benefit around 2.4 million workers. The Chancellor will provide a £1bn boost over five years to help make the rollout of the scheme ‘as smooth as possible’. Further £1.7bn increase in Universal Credit work allowances. Increases to work allowances will mean working parents and people with disabilities claiming Universal Credit will be £630 better off each year. the Chancellor says people will also receive extra help as they move from their existing benefits to Universal Credit and there will be targeted support for people repaying debts. The new digital-only 26-30 railcard offering a third off rail travel will be available across the nation by the end of the year. From April 2020 air passenger duty on long-haul journeys will go up in line with inflation but there will be no change to short-haul rates for the eighth year in a row. The duties on most ciders, spirits and on beer will be frozen for another year. The cost of a pint of beer will be 2p lower than if duty had risen by inflation. Good news for motorists. The Chancellor confirms fuel duty will be cancelled for the ninth year in a row. The Chancellor says this represents a total saving to the average car driver will be over £1,000 since 2010. New tax on manufacture and import of plastic packaging that contains less than 30% recycled plastic. No levy will be raised on single-use plastics yet. £320m for Northern Ireland Executive, £550m for Welsh government and £950m for the Scottish government through to 2020-21. New stamp duty relief for first-time buyers using shared ownership schemes. First-time buyers purchasing shared ownership homes will be exempt from stamp duty on properties worth up to £500,000 – backdated to the last Budget. £500m will be set aside for housing infrastructure to ‘unlock 650,000 homes’. From today in England, the government is also lifting the cap on the amount of money local authorities are able to borrow to build housing. The Welsh Government is also taking immediate steps to lift the cap in Wales. The Chancellor confirms he will cut business rates bill for smaller businesses including independent shops, pubs, restaurants and cafes by a third from April 2019. The move is expected to save these struggling businesses £900m. Support for British high street will be supported by a £675m Future High Streets Fund to redevelop empty shops as homes and offices. There will be a new mandatory 100% business rates relief for public lavatories. New 2% UK digital services tax announced. Charged on the UK- generated revenues of big tech firms with at least £500m a year in global revenues. New rules will be focused on tech giants rather than small tech start-ups. The government will consult on the details next year and the tax will come into effect by April 2020. The move is expected to raise over £400m a year. The change on the IR35 rules will apply to large and medium-sized private sector companies from April 2020. £695m for small firms to hire apprentices. Apprenticeship levy halved from 10% to 5% for smaller firms. This will support the government’s pledge to deliver 3m apprenticeships this parliament. A raft of measures to stimulate the economy announced including increasing the annual investment allowance from £200,000 to £1m for two years. New enterprise allowance for benefit claimant to get business ideas off the ground. Government also plans to make e-passport gates at Heathrow and other airports available to visitors from the US, Canada, New Zealand, Australia and Japan as well as EEA citizens. Chancellor says most of the detail of his investment in technology is held in the red Budget book published after his speech. He does reveal that £1.6bn will be allocated for the government’s industrial strategy which ranges from nuclear fusion to quantum computing. Chancellor confirms £30bn fund to improve roads. £28.8bn will be set aside in a National Roads Fund, paid for by road tax, to improve motorways, trunk and A roads. £420m ‘pothole fund’ confirmed to be immediately made available to Local Highway Authorities. £150m fund to improve local traffic hotspots such as roundabouts. £400m bonus for schools to buy ‘extras’. This will be a one-off capital payment directly paid to schools. This will average £10,000 per primary and £50,000 per secondary school. Extra £1bn confirmed for Ministry of Defence budget to address ‘immediate concerns’ on security including the cyber threats. There is an extra £160m for counter-terrorism police funding for 2019-20. Further £650m allocated for social care for English authorities for 2019-20. The new NHS plan will include a new mental health crisis service which includes a service which operates 24 hours a day and special teams set up in schools. 15:48 NHS spending boost – the biggest rabbit? The Chancellor suggests that Prime Minister Theresa May’s pledge of a £20bn a year boost to the NHS by 2023 back in June was the biggest ‘rabbit’ of the Budget. The OBR confirms a significant improvement in public finances. The Chancellor says this means he can set out a new path for spending. He says next year he will reveal more as sets out what he plans in his Spending Review. The Office for Budget Responsibility (OBR) predicts 800,000 more jobs by 2022. The OBR says borrowing is £11.65bn lower than forecast – giving the Chancellor some much-needed wiggle-room to support spending without raising taxes. The Chancellor says ‘the hard work of the British people is paying off’ but the government won’t squander these efforts. Mr Hammond says he will increase the funds allocated to departments to help cope with Brexit to £4bn. The Chancellor references the odd timing of this year’s Budget but says it isn’t down to Halloween falling on Wednesday but because he has another engagement. The Chancellor declares ‘the era of austerity is finally coming to an end’. Are the purse strings about to loosen? The Chancellor says this year’s Budget is designed for the people and will ‘pave the way for a brighter future’. The Chancellor of the Exchequer, Phillip Hammond, has taken to the dispatch box to deliver his third Budget and last fiscal update before Brexit. Follow our live coverage of the Autumn Budget speech to find out what the Chancellor has in store for your money. Is this the only Budget to watch? Lots of tax decisions are devolved to the nations of the UK, meaning Wales and Scotland set out their own Budget plans. The Welsh government delivered its draft Budget for 2019/2020 containing its spending proposals on 2 October while the Scottish government will hold its Budget on 12 December. The Scottish finance secretary Derek Mackay will unveil plans for tax and spending – and it’s definitely one to watch, as last year the draft budget contained major changes to Scotland’s income tax rates and bands.